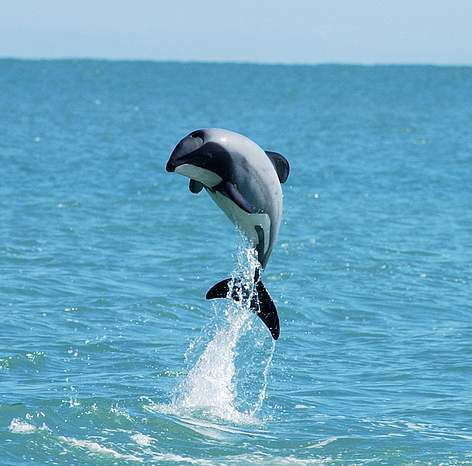 Marine scientist Will Rayment took this wonderful shot of a Hector's dolphin jumping out of the water. Hector's dolphins take their name from 19th century New Zealand zoologist, Sir James Hector, considered the founding father of Te Papa, New Zealand's national museum. Scientists agree that Hector’s dolphin numbers were between 21,000 and 29,000 in the early 1970s, compared with an estimated 7000 today. 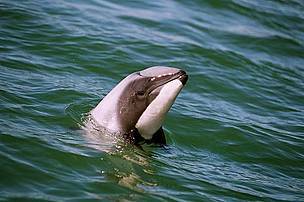 Hector’s dolphins (Cephalorhynchus hectori) are listed on the IUCN Red List as Endangered, and are among the most rare of the world’s 32 marine dolphin species.